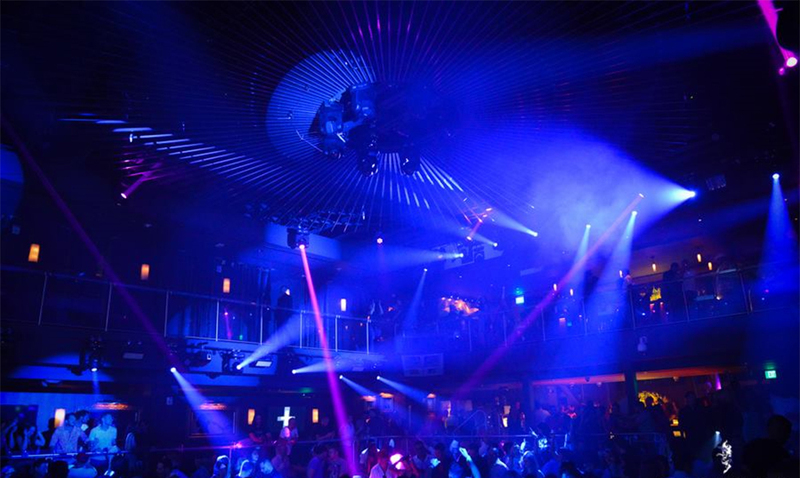 Miami’s Club E11even is a unique 24-hour hybrid club, operating as an intimate lounge space by day and a gentleman’s club by night with an expanded space, Cirque Du Soleil acts, aerialists, contortionists and interactive theatrical characters. Recently, Miami-based iDesign installed Martin Professional lighting fixtures to be the center of all parts. With a total of 38 RUSH Profiles (32 - main room, six - day room), 16 RUSH Beams in the main room and three Hazers (two – main room, one – day room), Club E11even chose Martin for its power and, most importantly, its reliability. “Martin’s support has been fantastic. Whenever we had a question, Martin was right on it and has continued providing us with the ongoing support and attention that will keep us coming back!